Flash Saver is the tool software to help you download swf files from web pages. 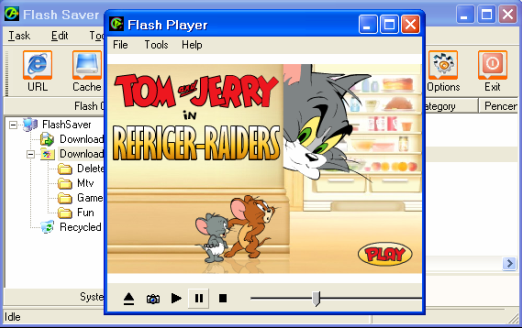 It enables you to save all Flash animations from web pages, including Flash websites, Flash game, Flash MTV, Flash Movie, Flash advertisement, or what ever Flash files you find in the web. What you need to do is just a simple click! All Flash (swf files) will be downloaded from web browser to your local hard disk. You can classify downloaded flash files, change names, add comments, play, snapshot and more.